Suzanne Gochenouer co-authored four best-selling books in the Gratitude Book Project, and 365 Days of Angel Prayers. Her articles and stories have appeared online and in print. A U.S. Air Force veteran, she also spent twenty years with a large aerospace company working on classified government contracts. 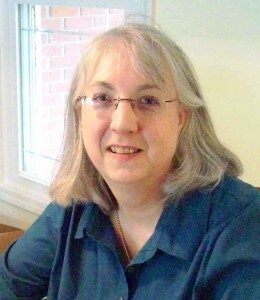 Suzanne wrote, and/or edited, more than 200 manuals and many project/program proposals in her work as a systems engineer. She also managed hardware and software teams for multi-million dollar projects. Recently, she worked as an independent contractor with the enhanced-novel publisher Noble Beast, in the role of Book Producer. She added publishing to her skillset when she formatted, edited, and published a book of poetry and art for a client. Through 2014-2015, in answer to many requests, Suzanne worked with her local library on a pilot program, presenting a yearlong series of interactive workshops providing local writers with the tools and knowledge to take their books from idea to publication. She is currently creating an online course from these workshops. A member of The Professional Writers’ Alliance, Suzanne spends her time writing articles and novels, editing and coaching writers and reading approximately 400 books each year. Certified as a life coach, as a ghostwriter, and as a Reiki master, Suzanne uses logic and intuition to help her clients define and realize their highest writing goals. To learn more about Suzanne, and how she can help you present your message to the world, contact her at Suzanne@TransformationalEditor.com.